Google has moved forward with its self-driving cars, announcing a fleet of 100 fully autonomous vehicles. 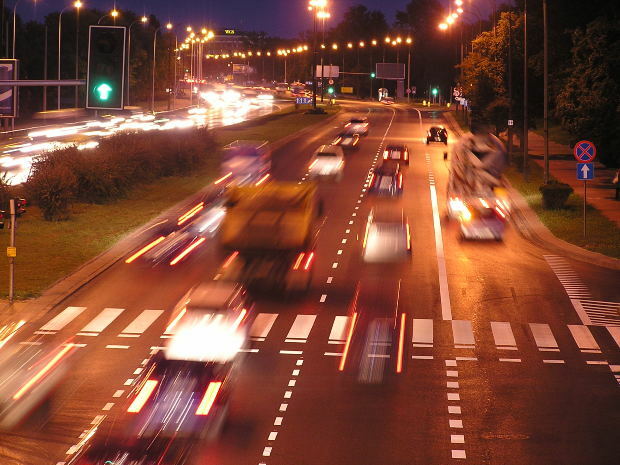 With smart cars soon to be on our roads, could smart roads be far behind? According to experts, we have already been moving in that direction for years. Some streets and highways already have sensors and detectors in the pavement to catch overburdened trucks, speeders, and more. There are also road designs that promise to melt snow, warn drivers about traffic, and create a lighted surface that shows warnings. However, smart roads and more sophisticated communication systems in our infrastructure promise to do a lot more in the future. Recently, research from Carnegie Mellon University examined a system of smart signals, which included motion sensors, vehicles, and smart traffic lights. Researchers found that the smart signals reduced travel times by 26%, on average, and reduced stop times by 40%. Not only could this slash emissions by 21% by reducing the amount of time cars spend idling, but experts say these systems could help reduce crashes. Smart signals have already been put in place in a limited fashion in Singapore, New York, Chicago, and other cities. It is expected that smart roads will become driver reality sooner than smart cars, in part because of the costs involved. The power and bandwidth needed for smart road communications is smaller and car manufacturers face a number of hurdles in getting smart cars to the market – including strict regulations and public perception of autonomous car risks. With smart roads, there is already some of the technology on the roads, such as virtual weigh stations for trucks and sensors that read speed and license plates. Creating smart streets, some experts have said, is more about adding technology that we are already familiar with rather than completely redefining how we drive. How Much Can Smart Roads Do? Proponents of smart roads say that they are the future and could help make collisions in Miami and other communities less likely. However, critics point out that roads are not always the problem – drivers are. Many safety experts agree that human factors are one of the leading causes of traffic collisions in Miami and other communities. They argue that smarter and more sophisticated roads will not necessarily help people make better decisions about fatigued driving, drunk driving, or recklessness. Drivers can still choose to ignore what technology tells them. Bad drivers may be easier to catch with smart roads and smart traffic signals, but is simply enforcing the rules enough to prevent crashes? And how can cities pay for this technology if many allege they do not have money to add simple solutions like bike lanes and better pedestrian crossings? Some safety experts claim that the best way to prevent crashes is to change driver attitudes or to take drivers out of the equation entirely with autonomous cars. What do you think? What would have the biggest impact on car accident rates? While smart roads may not be coming to Hollywood or your community any time soon, there are still safety systems in place and there are still laws in place to protect you. If you find yourself injured in a traffic collision and would like legal advice about these laws, contact Flaxman Law Group for a free consultation. Our law firm can offer legal advice and representation to preserve your rights.